Today, we proudly announce Gross. Stadt. 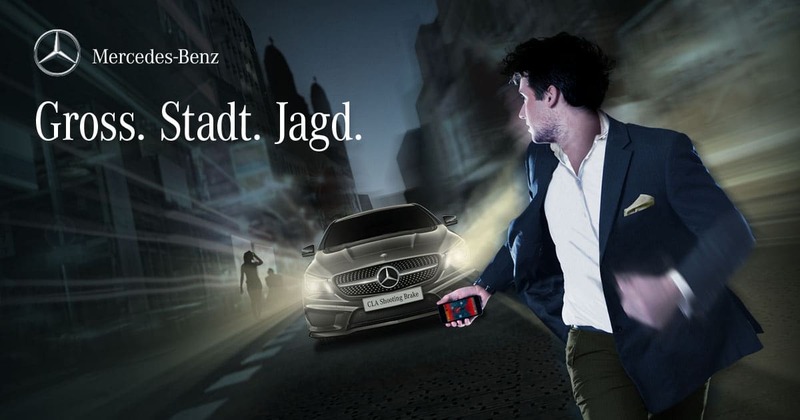 Jagd., the latest mixed-reality game project that we realize for Mercedes-Benz by order of and together with JEFF Communications. campaign. Gross. Stadt. Jagd. is the modern version of Last Man Standing, where the last man standing wins a brand new CLA Shooting Brake, an actual car from Mercedes-Benz. The multiplayer game works with a mobile game app that players install on their mobile phones. 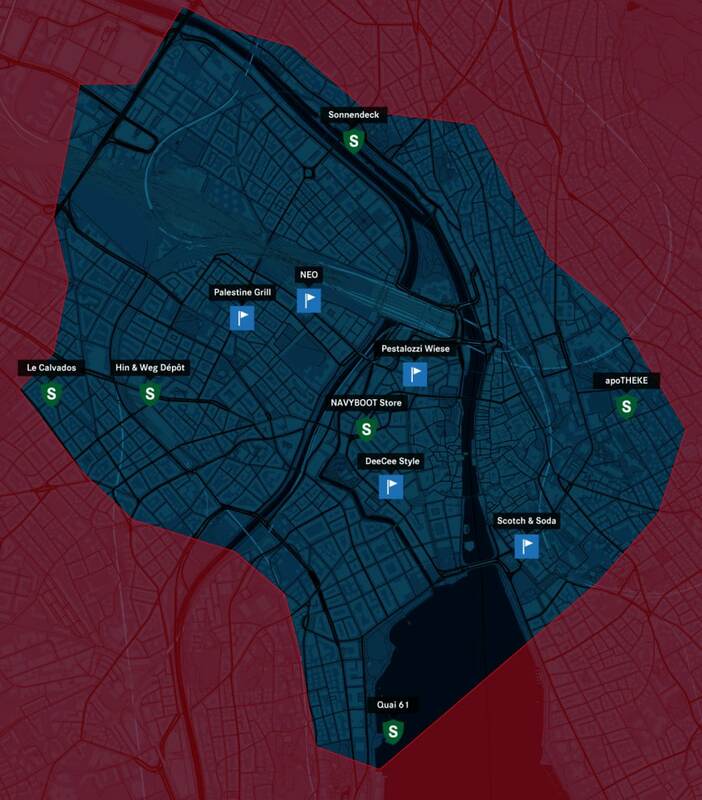 During the game event in Zurich on May 29th 2015 at 8pm, players will run around the city to avoid the hunter for as long as possible. 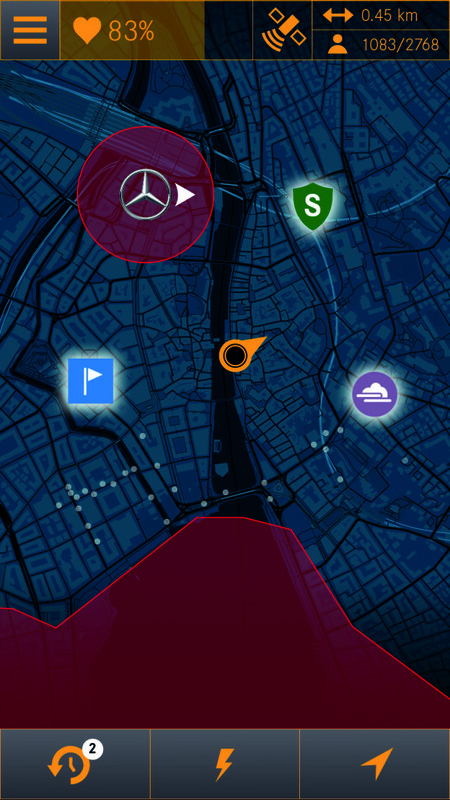 The mobile app constantly checks the distance to the hunter and reduces the life bars of players too close to the hunter. The last player with a healthy life bar wins. The multiplayer game Gross. Stadt. Jagd. is an extremely innovative real-time game that is unique in today’s world of mobile apps. Thousands of players located in Zurich can participate at the same time. The requirements can also be met with cutting-edge technology in place. With our long experience in real-time games, we have chosen a robust, scalable and secure software architecture and environment. We will publish more details after the game has taken place. The gameplay is great for all participants: players can collect power-ups to improve their life bars, to sabotage opponent players and to weaken the hunter temporarily. But for every move, players have to expose themselves, run around, possibly walking into traps set by rival players. Strategic thinking and physical endurance is of highest importance to survive until the last second of the game. The Gross. Stadt. Jagd. is a great opportunity for Mercedes-Benz to actively promote their new car model CLA Shooting Brake. and get in touch with a new audience that embraces outdoor activity and mobility. It perfectly combines the digital and physical world. You can now sign-up at www.gross-stadt-jagd.ch to play on May 29th 2015 at 8pm.